The Body Shop's Buy 3 Get 3 Free deal is back! When you purchase 3 items sitewide you can get another 3 Free! 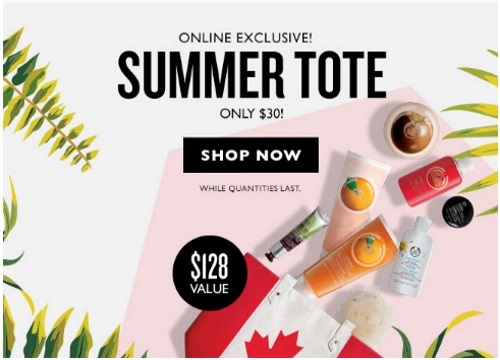 Plus get the Summer Tote now for only $30 ($128 value). Offer is valid for a limited time. Some exclusions apply.